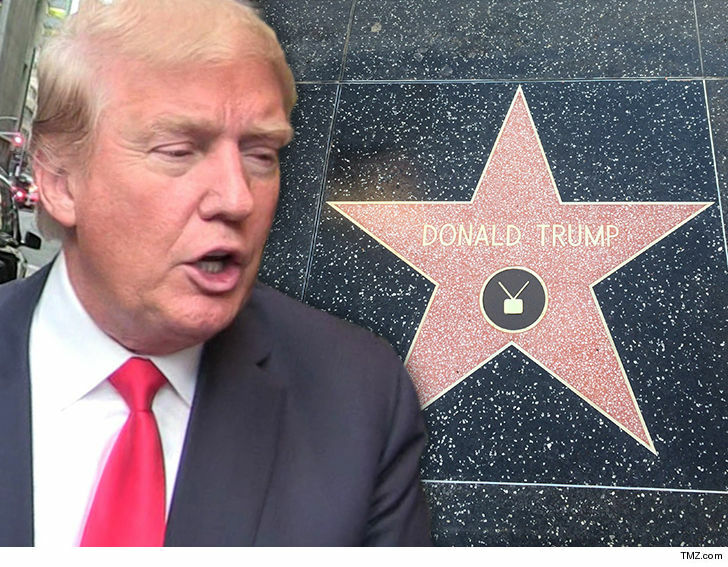 Fake Donald Trump Stars Popping Up All Over Hollywood Blvd. Just Fake Stars on Hollywood Blvd. Some people might want Donald Trump‘s Hollywood Walk of Fame star scrubbed entirely — but others want more of the same … and made it happen. Tons of fake Donald Trump stars popped up all over Hollywood Blvd. Thursday up and down the Walk of Fame. 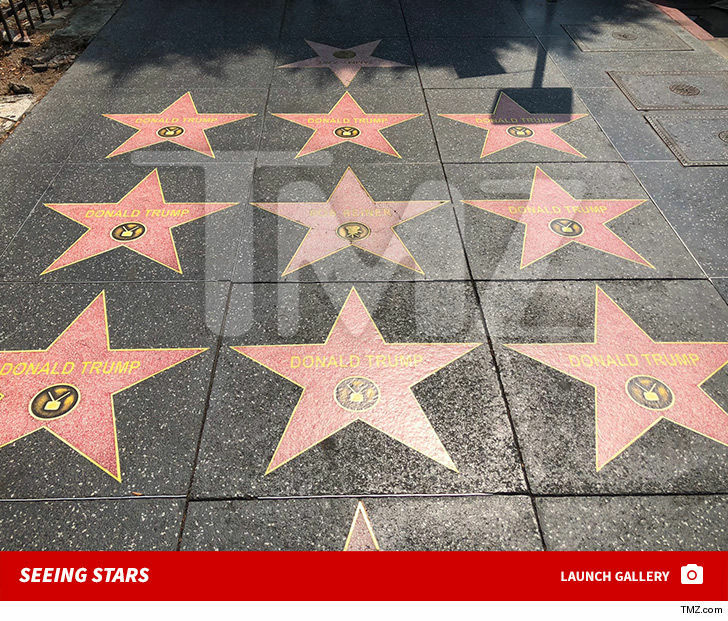 It’s unclear whether these are stickers or what … but they’ve flooded the boulevard, flanking A-listers’ like Rob Reiner. Considering the wave of violent reactions Trump’s star has ignited, we’ll view this a much-needed lighthearted effort. No word yet on who the latest “vandal” might be … but there are endless possibilities taking into account the myriad of stunts pulled on the street. Be careful what you wish for, folks … ’cause it usually backfires. ← Ray Rice Flaunts Shirtless Bod In Jamaica, Abs-olutely Still NFL Ready! Justin Bieber Says Treat Me Like Trump and Keep My Depo Under Wraps! !